530 K St #607, San Diego, CA 92101 (#190018858) :: Neuman & Neuman Real Estate Inc. 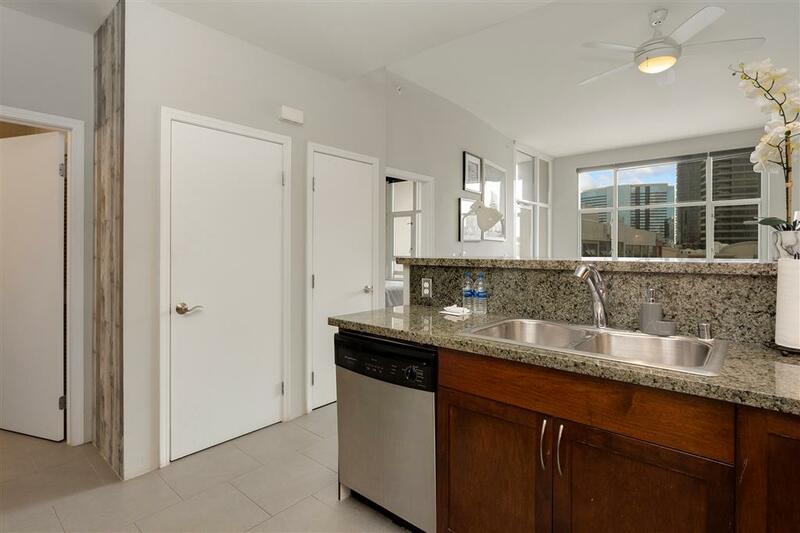 Beautifully maintained top-level corner unit with amazing views in the rarely available gated community of Trellis. 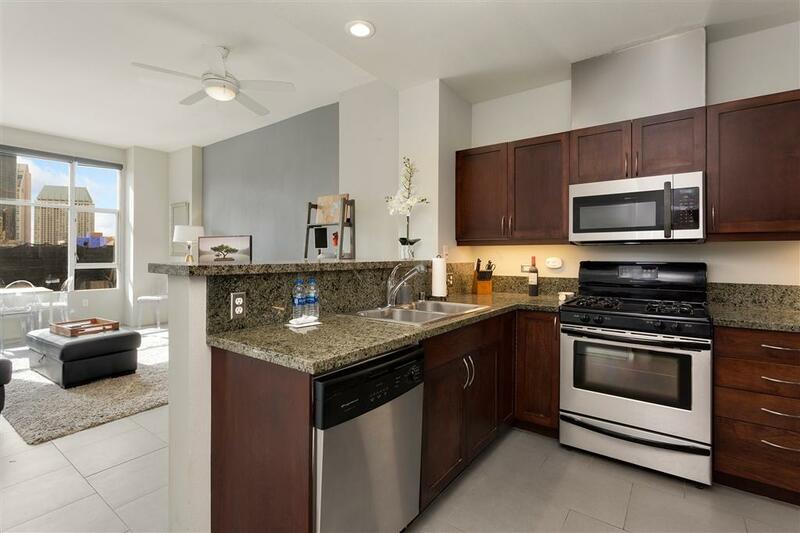 This amazing contemporary property boasts an open floor plan, neutral paint and trim, large windows, in-unit laundry facilities, an outdoor balcony, and modern finishes. Vaulted ceilings and large windows bask the home in an abundance of natural light. 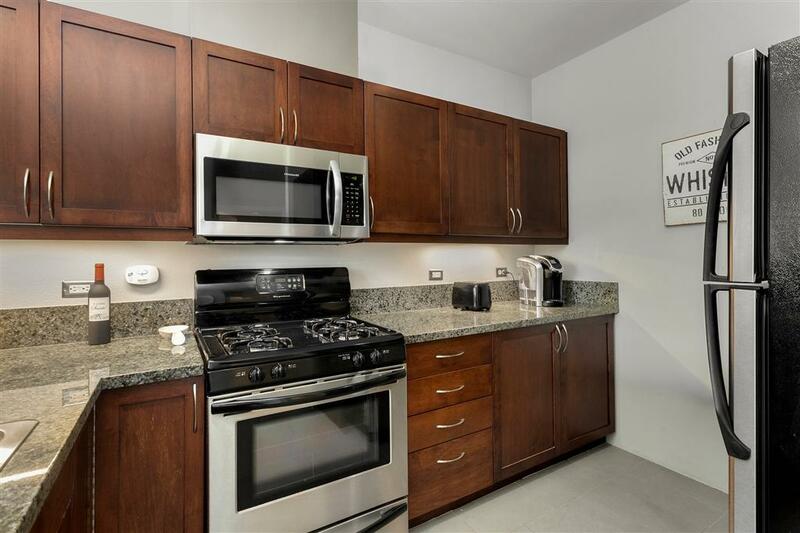 A well-appointed and functional kitchen boasting granite countertops, sleek stainless steel appliances, warm espresso cabinetry, and breakfast bar seating that opens to the living room. Amenities include a secure gated building and a gym/exercise room. 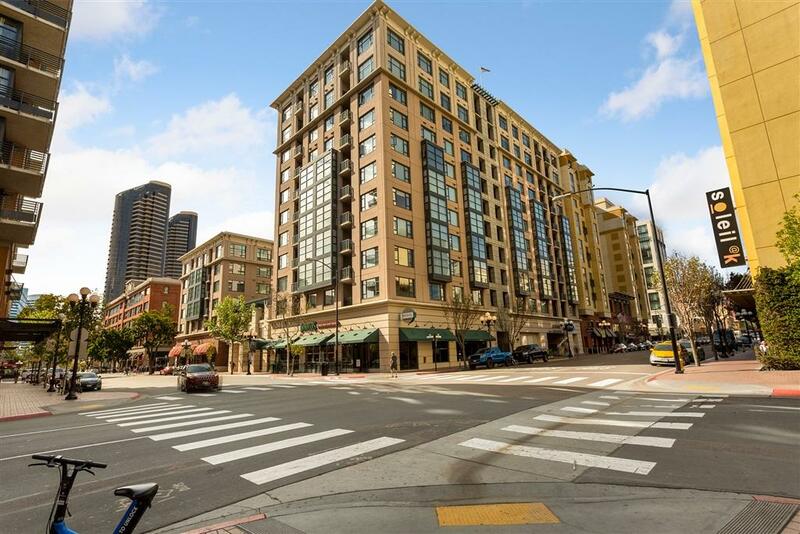 Conveniently located, just minutes away from the Gaslamp district offering world-class dining, shopping, entertainment, plus so much more!! 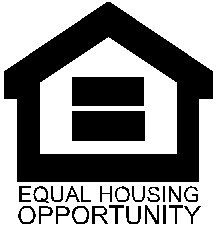 Great rental opportunity and fully furnished.